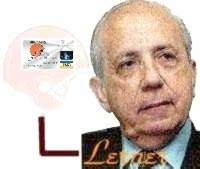 1933-2002 Browns owner Alfred Lerner, after an 18 month battle against brain cancer passes away on Oct.23 at Cleveland Clinic Hospital and is survived by his wife, Norma, and two children: Nancy Lerner Carosielli and Randolph Lerner. As Al Lerner's health worsened over the past nine months, he and Policy and Randy met several times to plan the future of the franchise. Policy said it was during this time that he developed a closer relationship with Randy. "He grew up wearing Cleveland Browns pajamas,'' Browns President Carmen Policy has said. "He had Cleveland Browns sheets and pillows.'' While this may not be Lerner's favorite way of having his image put forth, he pledges allegiance to the famous orange helmets. Randy Lerner was born in 1962, about two years after his parents moved to Shaker Heights from Brooklyn, N.Y., and about a year after Brooklyn native Art Modell bought the Browns. The two Lerner children, Randy and Nancy, were accompanying their parents to Browns games by 1969, when the team reached the NFL finals by clobbering the Cowboys 38-14. They lost a week later at Minnesota, a win short of Super Bowl IV. In recent years, Randy Lerner has made his home close to his parents' Brooklyn roots. He lives on Long Island in the general vicinity of Steven Spielberg and Jerry Seinfeld. He and his wife of 10 years, Lara, have a daughter, Chase, 7, a son, Max, 5, and another child on the way. 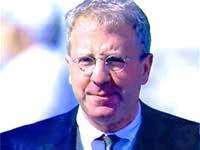 With his stake in the family fortune, including power roles with the Browns and the MBNA credit-card empire, Randy Lerner has traveled to Ohio as routinely as Cantonians drive to Browns games. He will maintain residences in Ohio and New York. A Columbia Law School graduate, Lerner has spent time as a Wall Street lawyer. He knows his way around Manhattan, where New York University Law School graduate Paul Tagliabue works as NFL commissioner. Information on the front office.